following cosmetic treatment at an Orchard Road clinic. clinic to Tan Tock Seng Hospital, where he was pronounced dead. earlier that afternoon,’ he told The Straits Times. 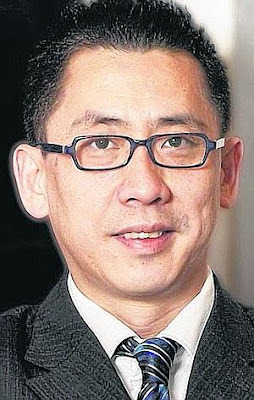 resuscitate him, said Dr Lim. Citing the same reason, family members also declined comment. are unclear or the cause of death cannot be immediately ascertained. unnatural death, and are investigating. which among other things manages the Starhill Global Reit. he appeared to be ‘fit, trim and in the pink of health’. officer at the building where the clinic is based. alive when the ambulance left for the hospital’. ‘detailed sculpting process’, it explains. both his clinic and his registered home address drew a blank. were both dermatologists – or specialists in skin problems. the amount of fat removed, may vary. tube inserted through a small incision. perform certain invasive cosmetic treatments. removing no more than one litre of fat from a person at each session. They also need additional staff to monitor the patient. to a trim figure...and shapely body. to inform the patient of the high risk of death. One in 500 is an extremely high risk. risk of death was made known to him. seeking a short cut to shapely figure. You can now lose those unwanted fats without having to spend hours and hours in gym working out. liposuction will make it easy, fast and simple for you.